The United States plans a $6.7 billion sale of 20 heavy cargo aircraft and five refueling planes to Saudi Arabia, the Pentagon announced Friday, in a deal to be approved by Congress. The multibillion-dollar deal includes the cost of training, logistical support, parts and associated equipment for the aircraft, said a statement released by the Defense Department's agency for foreign arms sales. 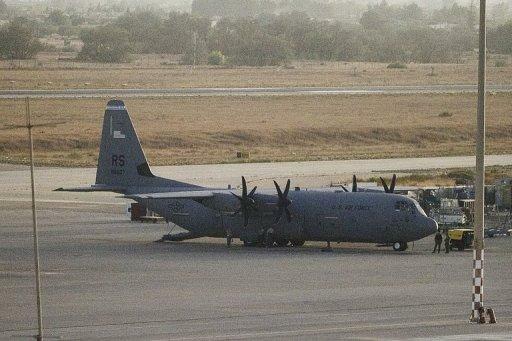 Notice of the deal was sent to Congress on Thursday, the US Defense Security Cooperation Agency said, noting the proposed sale of 20 C-130J-30 Super Hercules planes and five KC-130J aircraft -- an extended-range tanker version of the C-130s -- would sustain Saudi Arabia's "aging fleet." Congress has 30 days to raise objections, otherwise the deal will be concluded. The statement said the sale would "contribute to the foreign policy and national security of the United States by helping to improve the security of a friendly country that has been, and continues to be, an important force for political stability and economic progress in the Middle East." Riyadh has significantly increased its military spending in recent years and in 2010 signed a $60 billion arms deal with Washington, the kingdom's biggest defense supplier. And at the end of 2011, the two countries announced the signing of a $30 billion deal to provide Saudi Arabia with 84 new fighter jets, a move the United States said sent a "strong message" to the Gulf region.